Adam Hodge, CEO of Master Cleaners Training Institute, with CrestClean personnel attending the course. 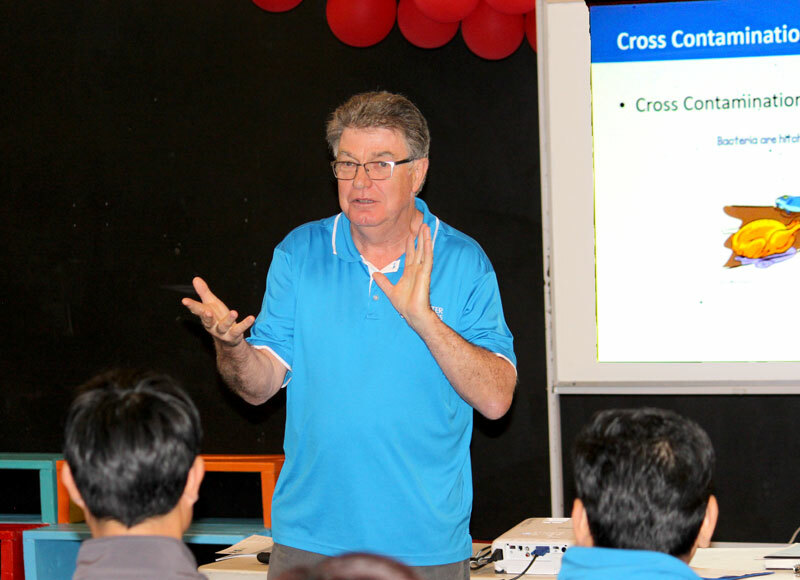 CrestClean business owners attended a special training event to ensure they remain at the top of their game. 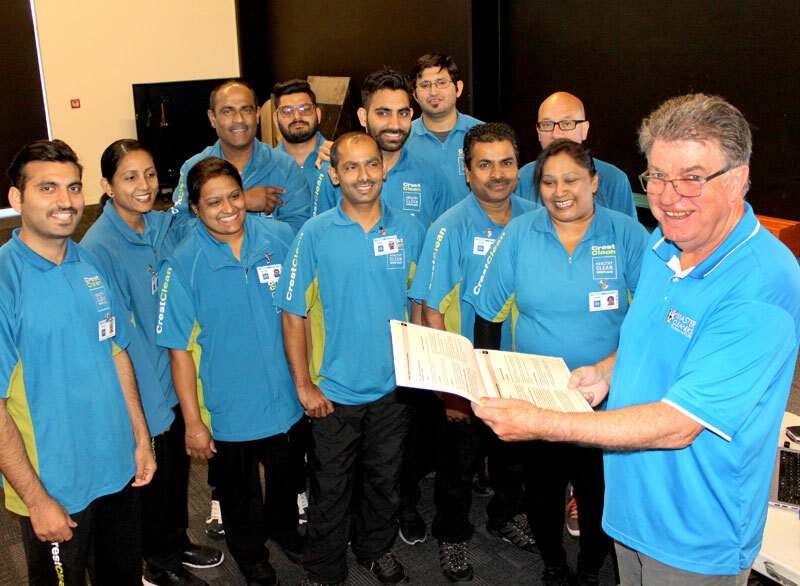 The Skills Training and Development course was aimed to empower the Tauranga teams by acting as a refresher so they keep up to date with product innovations and the latest advances in the commercial cleaning industry. The experienced franchisees have already completed two intensive courses covering practical and theory units as part of their training for the Certificate in Commercial Cleaning. Topics covered in this year’s skills /refresher presentation, delivered by Master Cleaners Training Institute, include health and safety, preventing cross contamination, advances in technology, equipment, and chemicals. The course is run by Adam Hodge, Master Cleaners Training Institute CEO, and delivered to CrestClean personnel throughout New Zealand. Adam says he was particularly impressed by the commitment of the Tauranga franchisees to their work. Adam says CrestClean has become an industry leader in having personnel who are trained to the highest standards. But as well as the formal presentation, the Skills Training and Development course was an great opportunity for attendees to learn from each other, says Adam. “While the topics covered are important in themselves, I believe that one of the biggest benefits from this event is that franchisees have an opportunity to meet with each other in a relaxed environment. “It provides a useful time for them to exchange ideas and to discuss solutions to problems they may have come across in the course of their work. But learning and exchanging ideas was also a two way thing, says Adam. “I always learn so much about the practical aspects of cleaning during these training events from the franchisees themselves.